This weekend saw Sydney Harbour and the waters offshore crowded with racing yachts competing in the annual Middle Harbour Yacht Club Sydney Harbour Regatta. 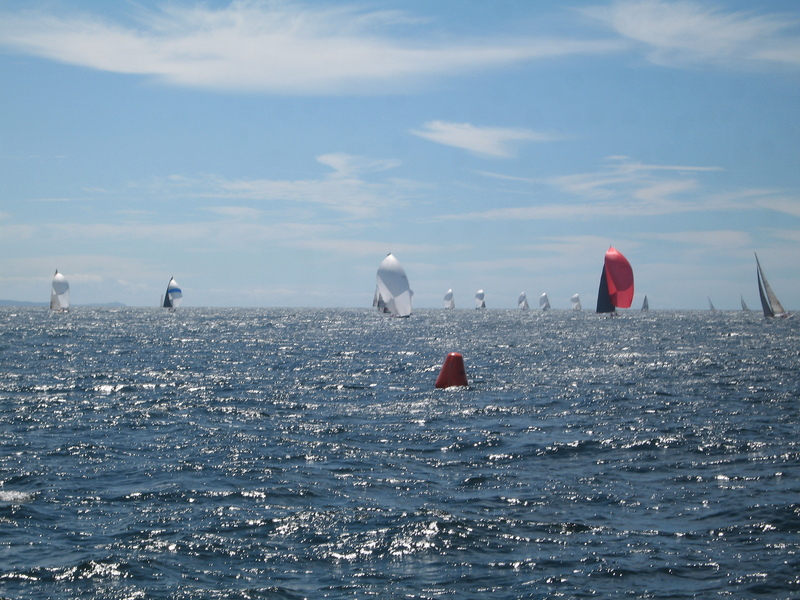 With over 220 competitors ranging in size from the Historical 18’ers and Ynglings up to Grant Warringtons 100′ Maxi Wild Thing out on the ocean passage course. All the major clubs on the harbour and with assistance from RPAYC on Pittwater and this year NCYC from Newcastle it’s quite an undertaking organising enough officials, startboats and course layers for the nineteen divisions. In previous events I have looked after Course area E with the Adams10s, Flying Tigers and on occasions, the Farr40s and Sportsboats. This was in the part of the harbour known as the Sound, an area where MHYC has most of it’s racing. This year however, I had a change of scenery moving to Course area I as RO. 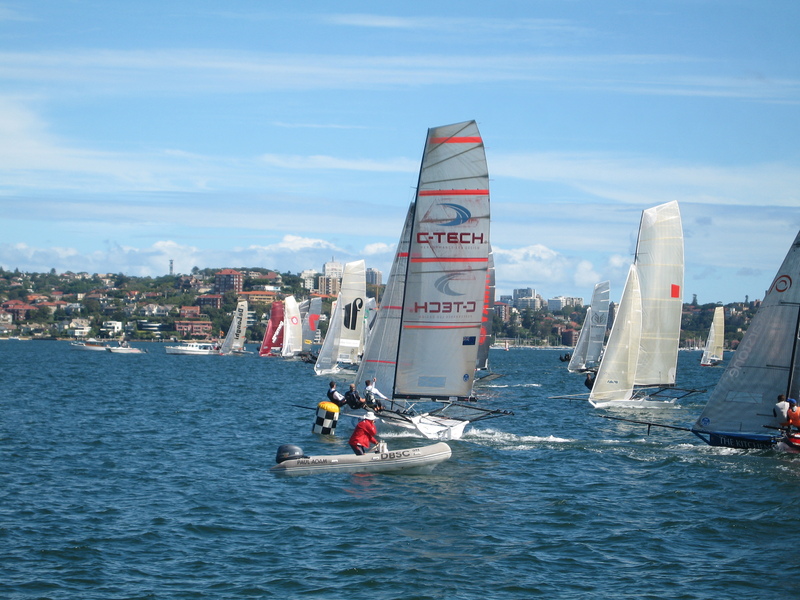 As part of the event, the Sydney38 class also had their championships, but with 10 races over three days instead. Fridays racing was held inshore in mainly light conditions, giving all the competitors and officials alike the chance to settle in. On Saturday and Sunday we went offshore to the Manly Cirlce and had some great sailing in a typical summer Nor’Easter. The weekends fleet also included two IRC handicap divisions. Racing was close in all three divisions and watching the fleet round the bottom gate from the startboat was enjoyable, both in the handling and the closeness of the racing. It also gave me the opportunity of working with another team of race officials and course boats, in this case the team from the CYCA. All of their team were great to work with and I look forward to the next time. Back on the beach at MHYC, the sailors were entertained by their favourite band, the Wolverines. Drummer John Clinton had a busy weekend as he was sailing his own boat Holy Cow inshore. Next up is the Asia Pacific Access Championships in Canberra over Easter. I haven’t been there for a few years, so I’m looking forward to it. 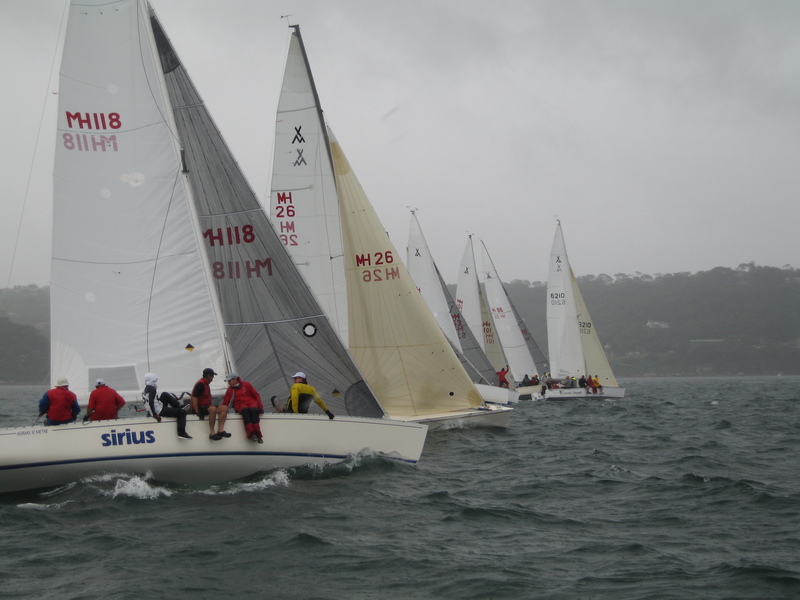 Last weekend I was the PRO for the NSW 420 and 470 class State Championships at MHYC, conditions for the fleet on Saturday were miserable to say the least. 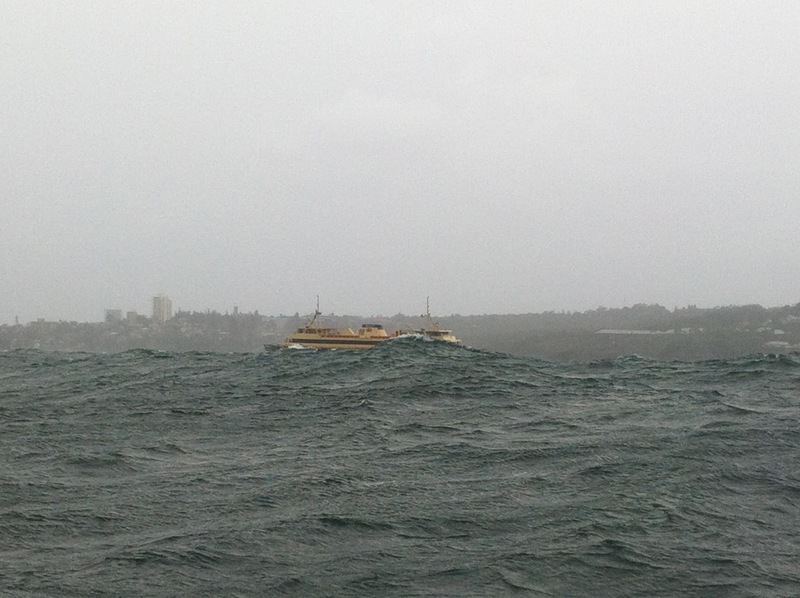 On Saturday with the breeze out of the east and a large swell running in the Sound of Sydney Harbour, the decision was made to move the fleets inshore to the relatively calmer reaches of Middle Harbour. Whilst the wind direction varied through 50 degrees, the strength also varied a great deal from around a nice 15knots to gusts in the mid 20s. This made for trying conditions for the competitors and race officials. On Sunday the conditions abaited a little and we were able to sail the remaining heats with all the competitors enjoying the downhill surfing. Xavier Winston Smith and Mat Belcher won the 420 and 470 classes quite convincingly. Xavier in one race capsized just before the start and came through to finish second in that race. For images and video go to our facebook page http://www.facebook.com/deckhardware. 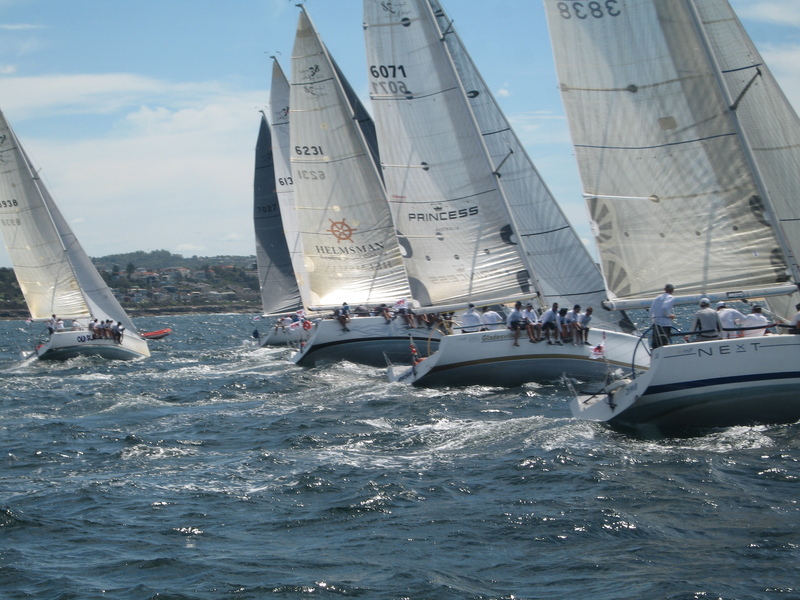 This weekend sees the annual Middle Harbour Yacht Club Sydney Harbour regatta once again. With the support of the CYCA, RANSA, SASC, RSYS, RPAYC, MYC and this year Newcastle Cruising Yacht Club, there are multiple course both inshore and offshore with competitors ranging from the 100’er Wild Thing down to a fleet of Ynglings. I will be running the Sydney38 class, with 4 races inshore on Friday and 3 each day over the weekend on the Manly Circle. Entertainment after sailing is once again the popular Aussie band The Wolverines – always a crowd favourite with the sailors. Drummer John Clinton owns the Beneteau ‘Holy Cow’ with distinctive markings on the sails and topsides. Hopefully the conditions we have had of late will improve to provide some great sailing. February started off with the Adams 10m titles once again at Middle Harbour. The weather over the January Australia Day long weekend brought decent wind out of the Noreast for the first and last day, the Sunday was a writeoff as we only got the one race in. The series was always going to be hard fought between Tim Gallego steering Jim Curtis’s Another Dilemma [MH26] and Ben Nossiter’s Sirius [MH118]. Tim is a long time Adams 10 sailor and since his move to England some years ago, makes the trip out each January for a sail. Ben has for many years – some say too many, ruled the scratch pointscore at MHYC. On this occasion, Tim was able to just make the break at the starts on most occasions and hold off Ben for the 2013 Title. Chris Williams aboard Coconut Telegraph was the third placed boat and the winner of the DeckHardware donated Pat Carroll Memorial Trophy for the best placed timber seated version. I then took off on a small overnight drive down to Canberra and across to Eden on the south coast for a DeckHardware sales trip. These places are just a little too far to do in a day from Sydney but an overnighter makes it easer to see the customers down south. I was able to check on the progress of a yacht being fitted with Man Ship Marine hatches, ports and sliding companionway hatches. They look good, however the owner builder has had some down time due to other issues and the launch is some time off. Back home and it was back in to race management mode, this time the next heat of the NSW Kiteboarding Association titles. 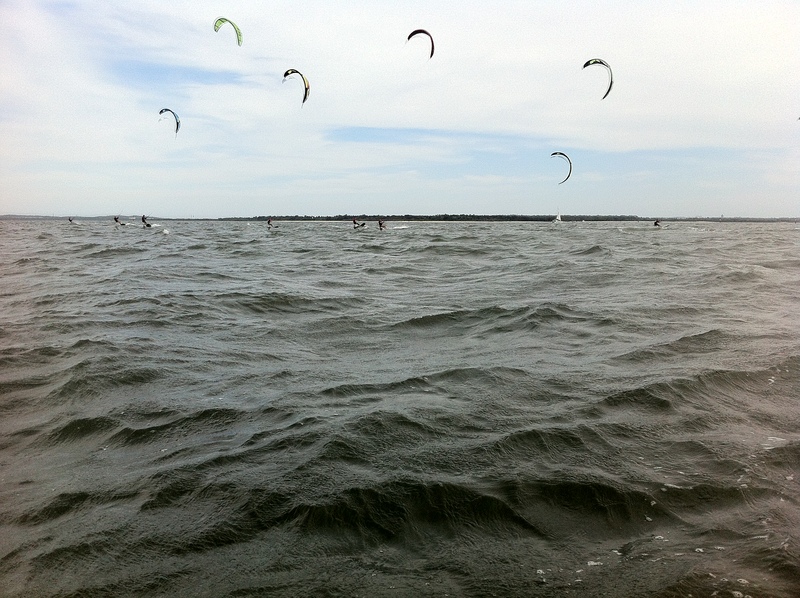 Kiteboarding attracted a range of competitors. There were those who sailed and those who surfed, rather like the introduction decades ago of the Windsurfer. On this day we only had a handfull of the 38 entrants turn up as the conditions for this form of sailing are rather specific. Most sailors can sail in anything up to 25-30 knots with out major issues. Kites on the other hand require a minimum of 10 knots just to get out on the water. This raises all sorts of issues when planning ahead for course racing. It is a good experience however and I look forward to next season and hopefully better weather and more competitors. The following weeks saw me up at Pittwater helping run the Pittwater High Schools District teams sailing event. This was a new one for me as I hadn’t been involved in any teams racing management before. With Melissa as one of the umpires, I was able to get my head around running 60 odd races in one day. It made for some interesting discussions between us on the radio. I wanted to start a race, however I couldn’t because there were no umpires on the startline. More things to think of other than wind/tide and course construction that I usually watch out for. Again it was an experience watching some of the sailors teams racing and making calls to their team mates on who to cover etc. We have just had the JJ Giltinan World 18’er Championship on the harbour and amongst the competitors was a staff member of Allen Brothers in England. DeckHardware distributes the Allen product range and this was a great opportunity to spend some time with Tristan Hutt and the crew of Pica who made the trip ‘Downunder’. The photo shows the CTech team from NZ making the perfect porthand start. They were able to continue this break and lead the whole way around the track. The bow on port behind CTech is The Kitchen Maker skippered by dual Olympic Gold Medalist Mal Page, unfortunately he had to take the sterns on most of the fleet and wasn’t able to recover, finishing mid fleet. Melissa was able later in the week on the layday to take the Pica team on a tour of the Northern Beaches taking in some of the sights of Home and Away’s Summer Bay. The TV show is seen by more in England than here, so they were pleased to have the opportunity. The English sailors were more than happy to spend some time away from the English Winter, we think they will be back. This coming weekend we have the 420/470 States at MHYC and the following weekend in the Sydney Harbour Regatta featuring the Sydney38 Championships, both events I’ll be running as RO. Hopefully we get some of the nice weather as seen in the 18’er photo, but given the battering that the East Coast of Australia has been having of late, I don’t think so. With the south east of Queensland and norther New South Wales being affected by floods recently, several of my sales trips have had to be changed, hopefully after Easter I can get up north and show off the new DeckHardware products. Our thoughts go out to those who have suffered losses due to these floods.